While Zabar’s of New York uses a specific cookie for its trademark black-and-white cookies, you can use any cookie. For the white half, you need icing made with confectioner’s sugar. You’ll need to add chocolate to the white icing recipe to make black icing. 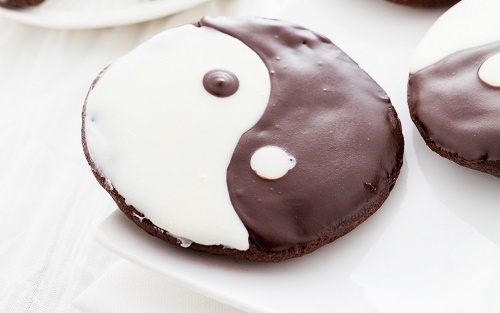 You simply need to dip one half of each cookie in white icing, dry, and dip the other end in chocolate icing.